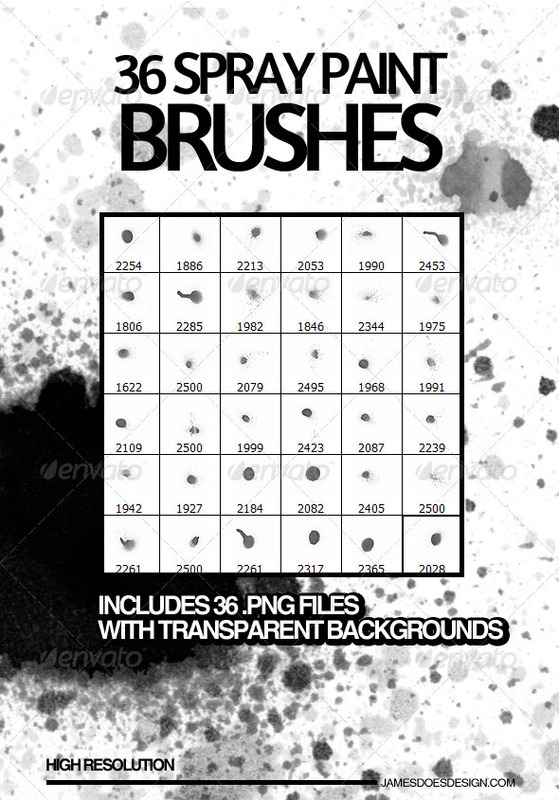 DESCRIPTION:36 Spray Paint Photoshop Brushes. These can be useful for just about any project that might require that perfect spray texture. This entry was posted in Addons, Splatter and tagged brush, graphic river, Photoshop, splatter. Bookmark the permalink. Follow any comments here with the RSS feed for this post. Post a comment or leave a trackback: Trackback URL.